Superdry Quilt Fade Fuji jacket. A transitional jacket that will keep you warm in between the seasons. 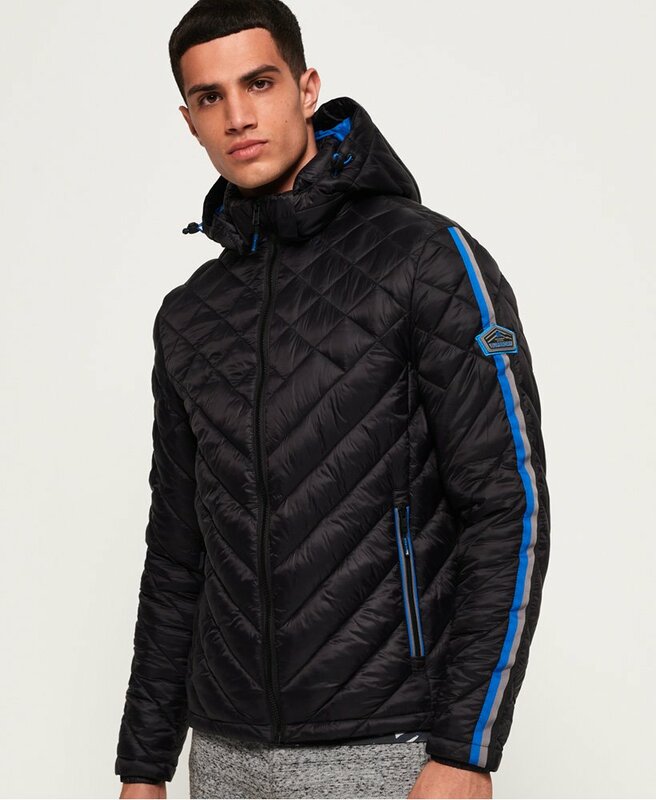 Featuring an all over lightweight quilted design, two front zipped pockets and a double zip fastening, this jacket is a number one essential for practicality. This jacket has been finished with a bungee cord adjustable hood, stylish stripe panelling down each sleeve and a rubber Superdry badge on one sleeve.